Dodie Clarke is a YouTube vlogger/musician who has been taking the indie scene by storm with her debut EP Intertwined. 21-year-old Dodie has been making music on her YouTube channel since April 2011, often posting personalized covers of her favourite artists or original songs that have grown from its roots in innocent anecdotes into emotionally stimulating and thought provoking indie-pop that is pleasant to listen to and tackles issues that are relevant to her audience (primarily young adults). She also has a vlogging YouTube channel where she talks about her life and about her journey through life from a young person into an adult in the real world. This kind of wisdom and self-awareness is evident through every fibre of her EP, as it navigates through difficult terrain at the hands of powerful acoustic ballad ‘Sick Of Losing Soulmates’ that tackles the problems with letting go of a person who you once viewed as a soulmate. This song is easily one of the most mature songs that Dodie has released. Dodie has a real tendency, to cling onto the past as she confesses in one of her recent YouTube videos, she speaks of romanticizing the past, meaning that despite it not being the best experience at the time, she, like many other people will look back through rose tinted glasses that are fogged by nostalgia and change their memories to often perpetuate their own situation. However, Dodie’s use of nostalgia throughout much of her music is very self-aware and mature as it tackles problems that many people face every day – making her a relatable artist and person for over 888,000 people on her YouTube channel. Moving away from solely her music’s meaning and reception, Dodie of course has a very lovely voice that is soft, quaint and filled with raw emotion. The echoed production paired with her almost ghostly voice makes for some very enjoyable and easy listening especially considering the atmosphere that her sound creates. She uses a variety of different instruments throughout her EP and ultimately in her entire style as she is a very talented multi-instrumentalist, confident of the guitar, piano and ukulele. This creates a very dynamic sound that is filled with many layers of beautiful instrumentation that translates onto the stage when she performs live. 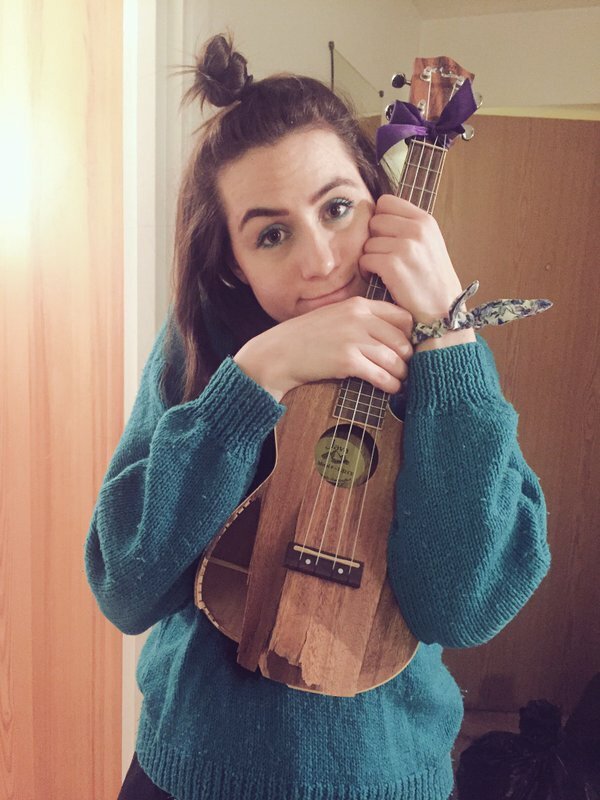 Similarly, to in ‘Sick Of Losing Soulmates’ in the title track of the EP, ‘Intertwined’ Dodie shows off her voice and displays her instrumentalism and intimacy with a love song that hangs on the idea of hoping that being in love with fix you, despite the fact that the person you love is broken too. The message that Dodie creates with this song is a beautiful illustration of how two people can be completely intertwined into each other and is a song very worthy of taking the title track. Dodie is an exciting prospect in the world of indie-pop and will be one to watch as her career in both music and online entertainment continues to flourish.